Enjoy 24/7 access to your accounts. Online Banking is available for Personal Accounts. 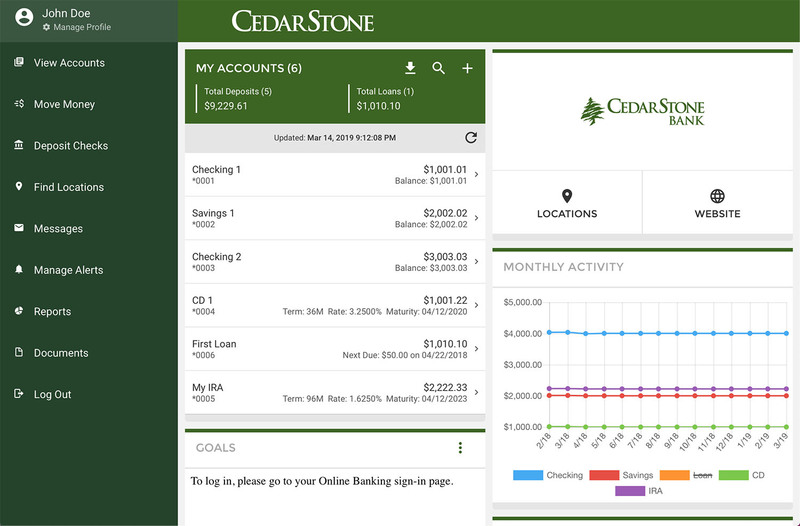 Stay connected to your accounts 24/7 with CedarStone's fast, secure Simply Better Online Banking. Enroll today, and access your accounts anytime, anywhere. We are please to offer Self Enrollment to Online Banking for Consumer Customers. For business online banking, please contact your local branch. "In my opinion, a great example of how banking should be."